The package for SD C5 does not include the xentry tab, you can use your own laptop, or buy from our website. The XENTRY Connect C5 is really equipped C5 engineer Internet software (internal HDD + external HDD). What’s more, this Real SD C5 has no computer limitation only requires 4GB storage at lease. The licensing system is reworked - now licenses are stored on M-B servers - Any license changes are tracked by the multiplexer when connected to the Internet network. How to Update Xentry Connect C5 DoIP Software? Each Mb star diagnosis DoIP Xentry Connect C5 host comes with a built-in hard drive (green board in picture below) which contains the data that makes the machine run properly. The hard drive is used to reflash/update C5 firmware as well. 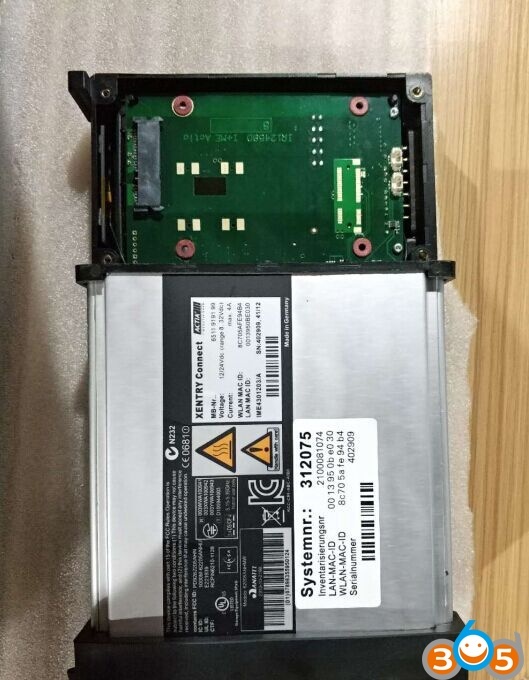 Recently come customers are attempt to remove hard drive on Xentry Connect C5 host by themselves and change data on computer, we sincerely warn our customers don’t do that. Please don’t move the hard drive on SD Connect C5 host. Don’t connect the hard drive to computer to change data. You are at your risk. We are not hold the responsibility of your damage. You need to send back the hard drive to factory to run firmware upgrade. If the factory provides the firmware upgrade link or online resources, you don’t need to send it back. By the way, the movable external hard drive (software HDD) in the package contains Xentry Openshell XDOS, and engineering software Vediamo, DTS Monaco etc, it is the correct hard drive you can run on computer. And don’t insert the software HDD to C5 host to replace original hard drive. It will cause damage to the xentry connect c5 multiplexer.